It’s been more than a year since I first published my scientific manuscript at PeerJ Preprints (a legitimate scientific forum) on the failure of Amstrup’s 2007 USGS polar bear survival model (Crockford 2017), a year waiting in vain for the polar bear community to comment. They either couldn’t be bothered or knew they couldn’t refute it – I haven’t known for sure which. But I do now. Polar bear specialists didn’t comment because they couldn’t refute it in the scholarly manner required by PeerJ: all they could do is tear it down with derision, misdirection and strawman arguments. 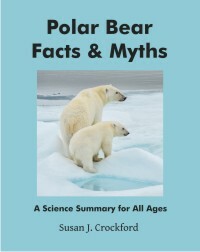 I know this because the damage control team for the polar-bears-are-all-going-to-die-unless-we-stop-using-fossil-fuels message wasn’t activated over my fully-referenced State of the Polar Bear Report for 2017 (Crockford 2018) released on International Polar Bear Day last month, but for a widely-read opinion piece I’d written for the Financial Post published the same day (based on the Report) that generated three follow-up radio interviews. By choosing to respond to my op-ed rather than the Report or my 2017 paper, biologists Andrew Derocher and Steven Amstrup, on behalf of their polar bear specialist colleagues1, display a perverse desire to control the public narrative rather than ensure sound science prevails. Their scientifically weak “analysis” of my op-ed (2 March 2018), published by Climate Feedback (self-proclaimed “fact checkers”), attempts damage control for their message and makes attacks on my integrity. 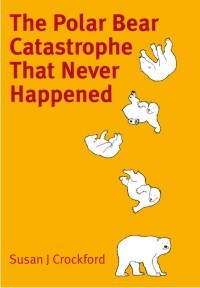 However, a scientific refutation of the premise of my 2017 paper, or The State of the Polar Bear Report 2017, it is not (Crockford 2017, 2018). Just as the badly written Harvey et al. 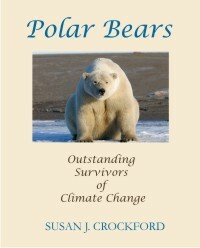 (2017) Bioscience paper said more about the naked desperation of the authors than it did about me or my fellow bloggers, this attempt by the polar bear community’s loudest bulldogs to discredit me and my work reveals their frustration at being unable to refute my scientifically supported conclusion that Amstrup’s 2007 polar bear survival model has failed miserably (Crockford 2017).